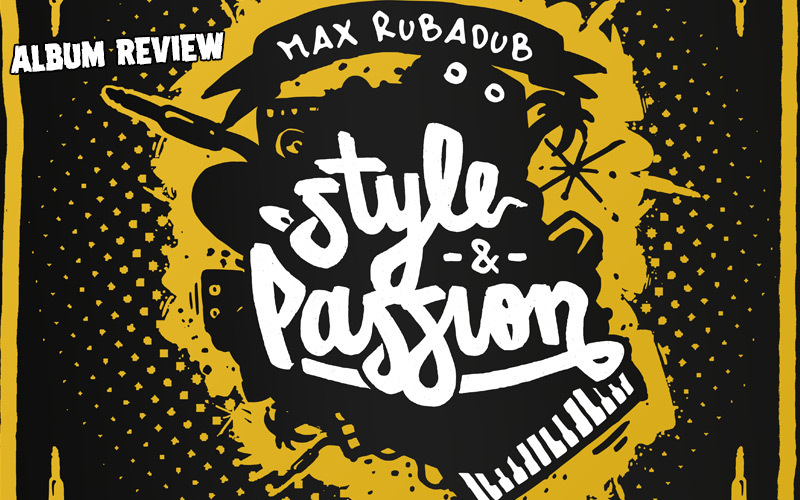 Within the last ten years, Max RubaDub has made a name for himself not only through the life-juggling skills he proved at numerous dances in Switzerland, its surrounding countries and also a bit beyond. People particularly know him for his mixtapes and remixes. Tunes from Morgan Heritage, Jah Cure, Agent Sasco and even mainstream pop stars like Beyonce have seemed to be a fertile ground for the colorful potpourri of blends of original songs with reggae, dub or other musical elements, which Max has put forth throughout the years. In terms of quantity, his output is impressive. Two Remix EPs and over a dozen of single Remixes in 2017 alone. Additionally, the recently published Mixtape 200% Exclusive once again demonstrated the enormous range of artists he is capable of working with. On January 26, his producer debut Style & Passion entered the stage, introducing tunes with some of Max’s longtime associates from Southern Europe like General Trix and Kinetical alongside internationally established Jamaicans like Luciano, Gappy Ranks, Skarra Mucci or Lutan Fyah and artists from the outternational underground like Crosby (Southafrica), Bay-C or Badd Cash (Jamaica) or Steppa Style (Russia). The album starts with a fast Real Rock Riddim inspired tune by General Trix and G Ras. As the title suggests, Good Vibes on this recycled Studio One classic. Dark Angel and BNC's tune Dem Try is different in style and approach. A Modern Roots tune with a Hip Hop groove and rapped lyrics. No Giving Up by Skarra Mucci has a similar old school, driving and pushing feel to it. However, the tune takes his qualities more from the singer's vocal memorability than from any-thing else. The same is true for Luciano's Trust And Obey which’s riddim exhibits some really outdated sound characteristics neither seeming to fit retro-, nor contemporary music. That Body by Voicemail is home to a spirited Spanish guitar and midi steel drums chilling on a Soca beat. The Ganja tune If You Can't Find Me by Badd Cash introduces one of the albums more catchy choruses. Empress & Lion feat. Bay-C robes the hook from Ken Boothe’s When I Fall In Love and makes a synthesizer dub it on an up-tempo Hip-Hop/Modern Roots Riddim; perfectly fine to rob a dub in this genre. Max really lives up to his name on his new album, often alluding to golden, vintage classics. “Soundkillin’ in a RubaDub Style” is also the main theme on My Sound with Steppa Style & Nappy Paco. While the synthetic brass VSTs on Jah Nah Sleep remain an issue of taste, depending on whether you like or dislike the keyboard sounds of the 80s, Lutan Fyah delivered a nice chorus on this dancehall beat. Kinetical`s rude Patwah toastings and inspired lyrics make his performance on an up-tempo Dub Rockers riddim one of the most powerful and elaborate vocals on the album. Style & Passion closes with Gappy Ranks, who wants to be a Millionaire. A topic quite frequent in the dancehall, where Max RubaDub took the riddim from. Even though the album is certainly home to Style & Passion, it takes its strength more from occasional moments of vibe by the singers and less from the sound aesthetics of the riddims.